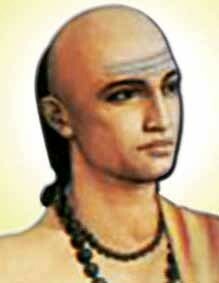 The famous astronomer Vrahmihira, a contemporary of Vikramaditya and Kalidas, had been the author of Brihat-Samhita. Possibly he was a resident of Ujjain. He too is counted among the nine jewels of the court of Vikramaditya. From his nonacquaintance with the theory of Earth revolving round the Sun, as propounded by Arya Bhatt, it appears clearly that he must have been belonging to an earlier period. Varahamihira also called Varaha, or Mihira (B.C. 505, Ujjain, India–B.C. 587, Ujjain), was Indian philosopher, astronomer, and mathematician, author of the Pañca-siddhantika (“Five Treatises”), a compendium of Greek, Egyptian, Roman, and Indian astronomy. Varahamihira’s knowledge of Western astronomy was thorough. In five sections, his monumental work progresses through native Indian astronomy and culminates in two treatises on Western astronomy, showing calculations based on Greek and Alexandrian reckoning and even giving complete Ptolemaic mathematical charts and tables. Although Varahamihira’s writings give a comprehensive picture of 6th-century India, his real interest lay in astronomy and astrology. He repeatedly emphasized the importance of astrology and wrote many treatises on shakuna (augury) as well as the Brihat-Jataka (“Great Birth”) and the Laghu-Jataka (“Short Birth”), two well-known works on the casting of horoscopes. While Brihat-Samhita is largely devoted to astrology, it is a valuable source for history of Indian iconography. This mortal world is forever indebted to Varahmihira for his in fields as diverse as Philosophy, Astronomy and Mathematics. Varahmihira hostel was inaugurated in the year 1999. 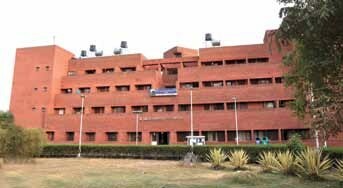 It provides accommodation for the boys and has capacity to accommodate for nearly 176 students.